This seemed to be a fail from the beginning. I may or may not have followed the directions to a “T” which caused a tad bit of a mess, but I still couldn’t help but share this recipe with you! Also, I have been hearing from some people that jello & mayo is something pretty common that people enjoy to eat! 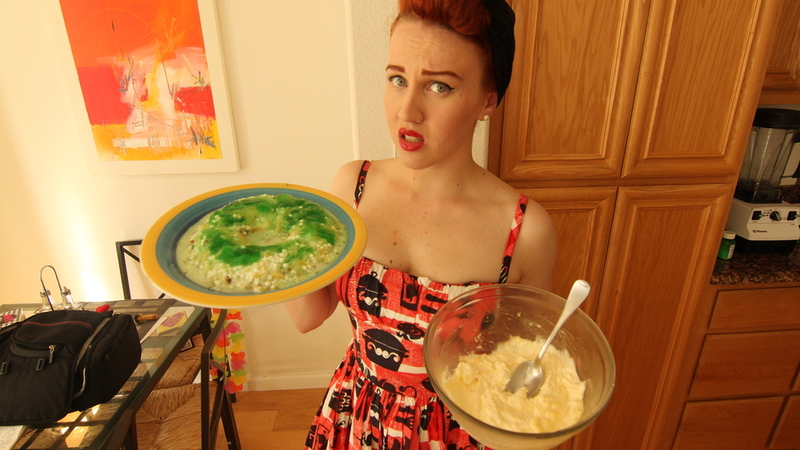 Lets take a poll….do you enjoy eating your jello with mayo? Let me know in the comment section down bellow! Pour hot water over gelatin; stir until dissolved. Refrigerate, stirring occasionally, till consistency of unbeaten egg white. Add pineapple, cottage cheese, celery, pimento, walnuts. Pour into 8″ x 8″x2″ pan. Refrigerate till firm. To serve: Frost with combined cream cheese, mayonnaise, lemon juice and rind. Serve cut into squares on greens; top with walnut halves. Makes 6 servings. Mayo and lime juice…what’s not to love?!?!?!?! ?